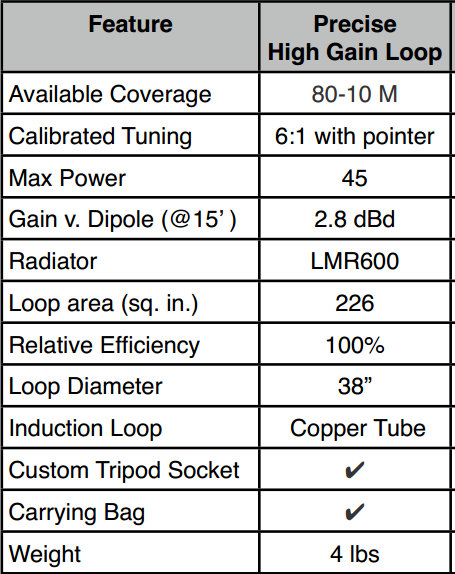 A correspondent recently wrote regarding the theory expounded in (Findling et al 2012), and their measurements and performance predictions of the AlexLoop Walkham, Portable Magnetic Loop Antenna by PY1AHD. The authors give a formula for lossless Q (to mean no loss other than by radiation) without explanation or justification. 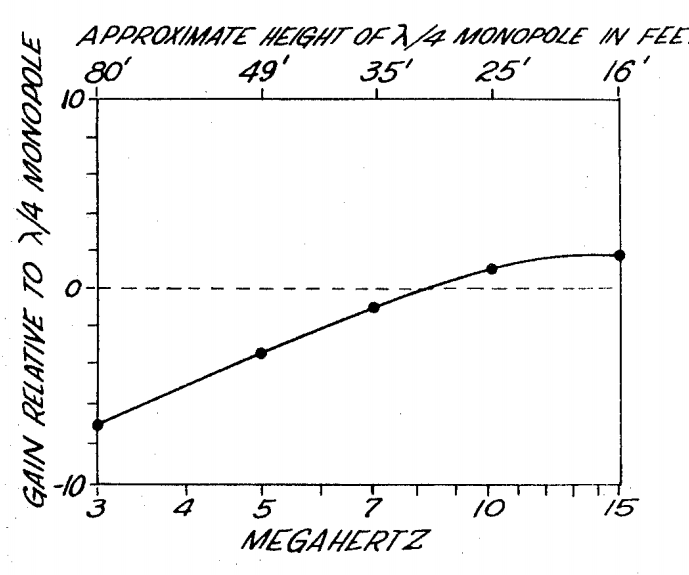 The formula is wrong, possibly a result of slavish acceptance of Hart’s two factor incorrectly applied (see Duffy 2015, and Antennas and Q). 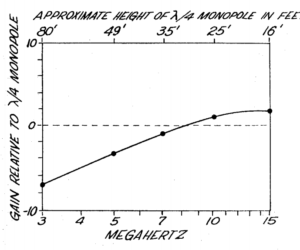 This error feeds into an optimistic estimate of antenna efficiency. 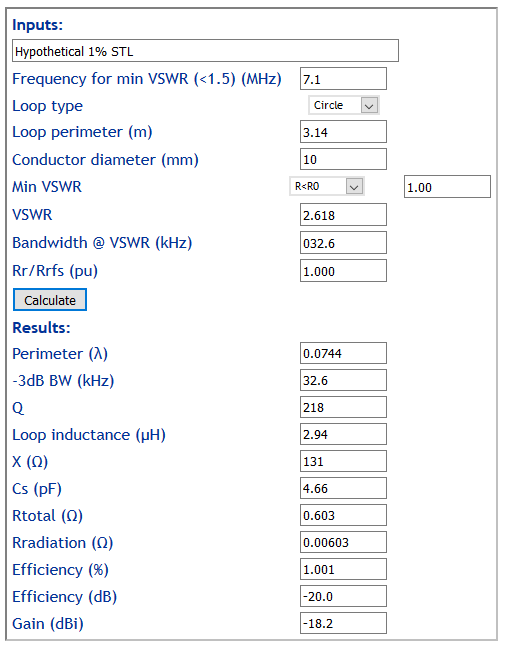 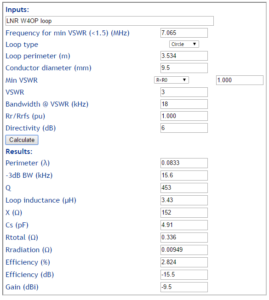 (Findling et al 2012) presents a table of measured half power bandwidth for the Alexloop. 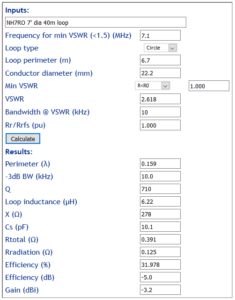 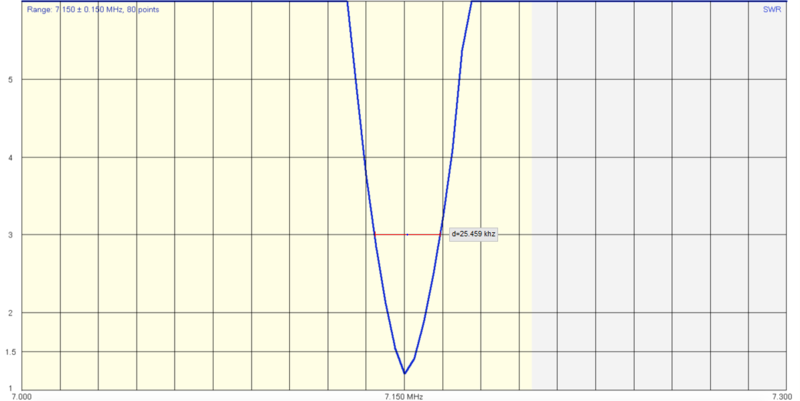 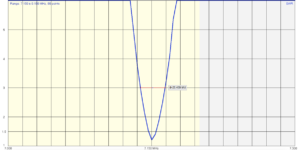 Taking the 40m case, lets calculate to Q for a lossless loop, Qrad in Findling’s terms. 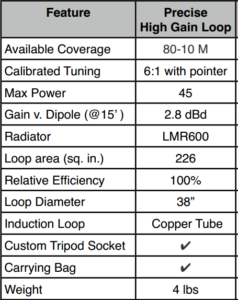 NH7RO describes his loop project at Building a 7-foot diameter QRO STL for 40M in my HOA backyard. 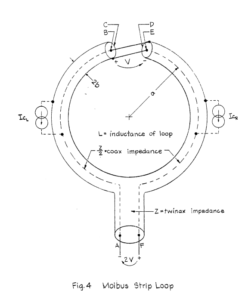 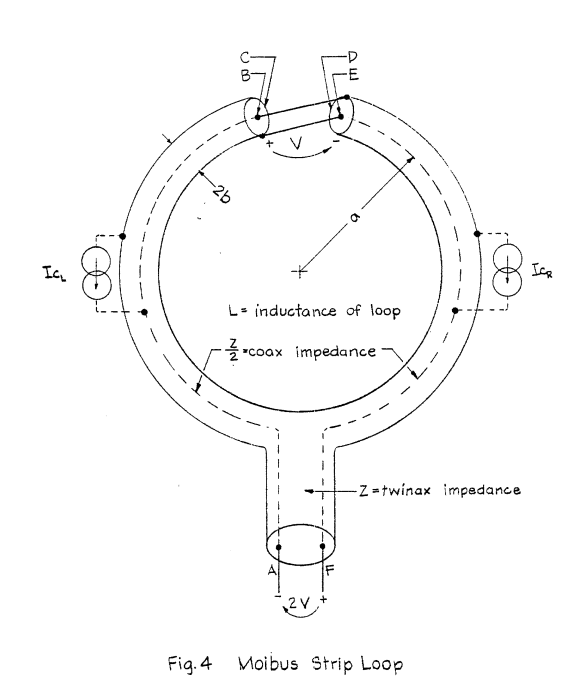 The loop appears to be made from 7/8″ copper tube, and is 7′ in diameter. He estimates its efficiency to be 66% and initially reports I’ve got it less than 4 feet above ground yet it tunes flat to 1.1>1 with roughly 10kHz bandwidth. . Curiously, 10kHz is the result calculated by AA5TB’s spreadsheet, though I have written elsewhere it is deeply flawed (Small transmitting loop calculators – a comparison). 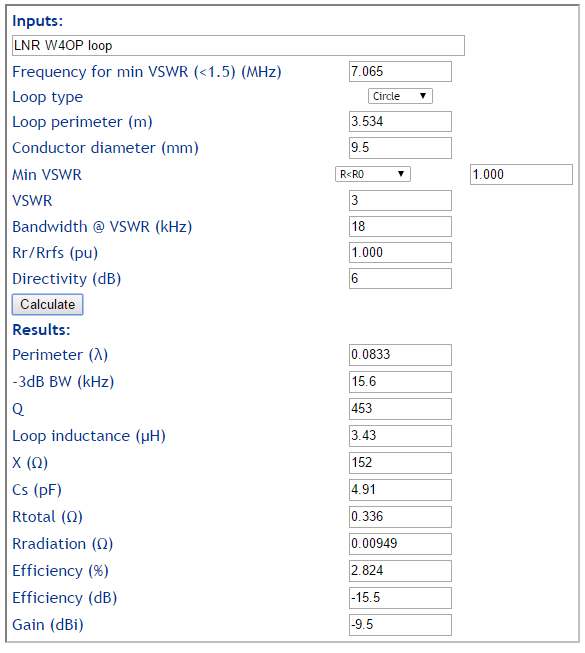 Let us assume that these figures are correctly reported, and that the unqualified bandwidth means the half power bandwidth of a matched loop. 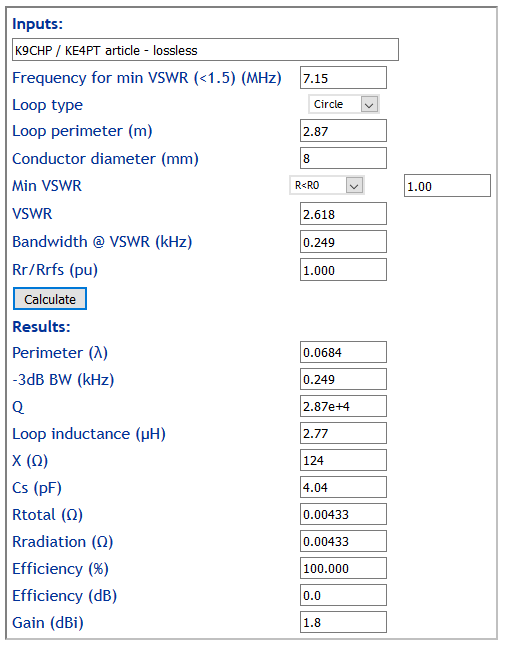 We can estimate the efficiency of a Small Transmitting Loop (STL) in free space.